Tools from within the Apex Tool Group offer the very best in durability and performance, making them a popular choice for businesses in Dallas, TX, and beyond. If you want to utilize these high-grade industrial power tools for daily tasks in your operation, then the ideal distributor to choose is CRC Inc. of Texas, which is now a Hurst Family Company. 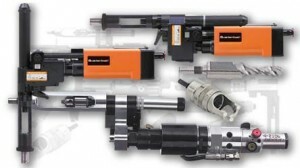 We offer an unmatched selection of Apex tools, and we provide unparalleled customer service from a team of highly trained associates that has immense knowledge of these specific industrial tools and their applications. Not only can we be counted on to quickly provide the tools that you require, but we also have the expertise necessary to analyze specific processes within your operation and make tool recommendations that can help you improve efficiency and even save money. Contact our industrial supply company today to learn more about the selection of tools from within the Apex Tool Group that we have available, and don’t forget to inquire about the wide range of other industrial supplies we distribute. CRC Inc. of Texas, in conjunction with Wm. F. Hurst Co., LLC, proudly serves businesses throughout Dallas, TX, and the surrounding area.